At Dr. Dornic’s state-of-the-art LASIK Raleigh & Durham offices, patients are offered sophisticated treatments geared towards reducing or eliminating their dependence on glasses and contact lenses. In order to deliver the best possible vision correction results, Dr. Dornic performs thorough evaluations and uses the latest laser eye surgery technologies. Our IntraLase laser is the safest available and our CustomVue technology has been proven to deliver the highest success rate. Contact our office to learn more about LASIK technologies. Did you know that LASIK surgery is approved by NASA? Having 20/20 vision is required to be an astronaut. See how our “best of the best” technology became approved for the most demanding job there is. LASIK is an acronym for Laser-Assisted In-Situ Keratomileusis, a procedure that uses a laser to reshape the cornea and correct refractive error, the failure of the eye to properly focus light on the retina. Also known as “myopia”, nearsightedness occurs as a result of the eye growing too long from front to back, or from the cornea being too curved. This causes the light entering the eye to be incorrectly focused, and results in blurry vision. Patients with nearsightedness are able to see up-close objects well, but have difficulty seeing objects in the distance. Nearsightedness is very common and more than 3 million cases are reported each year. Hyperopia, also referred to as “farsightedness” occurs when the eye is too short, or the cornea develops improperly, and lacks curvature. This flat cornea causes incoming light to be bent improperly, resulting in nearby objects appearing blurry, while distant objects look normal. Farsightedness is also very common, with around 3 million new cases reported each year. Astigmatism is also a result of a defect in the eye or shape of the lens. Astigmatism often occurs in conjunction with either nearsightedness or farsightedness. Patients with astigmatism have an eye that is slightly football-shaped, which prevents the incoming light from being focused. This results in vision being blurred at all distances. LASIK eye surgery corrects vision by reshaping the cornea, so that light rays focus more precisely on the retina, thereby reducing or eliminating refractive errors. There is typically little or no post-operative discomfort after LASIK surgery. Recovery is fast and complications are rare if your procedure is performed by an experienced LASIK surgeon utilizing the best available technology. The first step in LASIK eye surgery is to create a corneal flap. A very fine layer of the outer corneal surface is incised with a laser or microkeratome and folded back to expose the stroma, the middle corneal layer. The second step of LASIK surgery is to use a laser to remove microscopic amounts of tissue to reshape the cornea. Lastly, the flap is returned to its original position and reseals itself. Traditionally the LASIK flap had been made with an instrument with an oscillating blade. Vision correction was achieved by the surgeon manually entering prescription information into an excimer laser and delivering the treatment under the LASIK flap. Two major advances in technology: the IntraLase laser to create a blade-free flap and CustomVue technology to correct higher order aberrations, so revolutionized the LASIK procedure that the combination has been designated iLASIK. iLASIK still maintains the two basic steps of the older LASIK procedure but is the manifestation of major improvements in both steps. The evolution of LASIK into the iLASIK procedure utilizing a wavefront analyzer and two separate lasers: one to make the flap and one to perform the vision correction, has made a good procedure even better and safer. LASIK technology has evolved over the years. 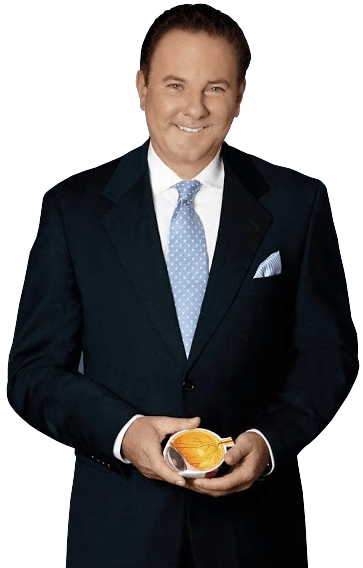 iLasik™ is a new brand of LASIK eye surgery that has been pioneered and perfected by AMO/VISX and IntraLase technology. All branches of the U.S. military and NASA recently approved LASIK for all their servicemen and women, thanks to studies using the iLasik™ technology. NASA approved the LASIK procedure for its astronauts following review of extensive military clinical data, which showed the use of the two lasers (IntraLase and Wavefront) provides superior safety and vision as compared to earlier forms of the procedure. Our LASIK Durham / Raleigh facility offers the latest LASIK technology available to date. Learn more about Wavefront® LASIK, custom LASIK with CustomVue™ and VISX® technology, and all-laser LASIK with the IntraLase® laser. By using the VISX® WaveScan™ Wavefront® System in LASIK eye surgery at our practice, Dr. Dornic creates a WavePrint® map that reveals the way your entire optical system processes light. 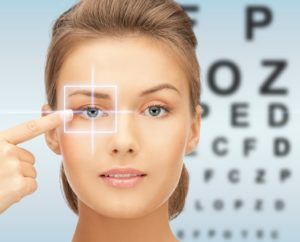 This creates a personalized “fingerprint” of your vision that has previously not been available, allowing both of your eyes to be treated for their unique imperfections during LASIK eye surgery. Dr. Dornic performs your LASIK vision correction with the VISX® Star S4-IR™ laser. The Star S4-IR™ offers a new level of accuracy by combining two systems: Variable Spot Scanning and 3D ActiveTrak®. This laser is accurate to 0.25 microns – an amazing figure when you consider a human hair is about 70 microns thick. CustomVue™ matches the “fingerprint” of your vision to that of a perfect optical system and transfers this information directly to the VISX® Star S4-IR™ laser for precise, personalized LASIK eye surgery for our patients. For those LASIK patients who qualify, CustomVue™ can enable Dr. Dornic to correct minute details in your vision that glasses and contacts cannot. The IntraLase® laser is the latest technology available for creating the corneal flap for LASIK. Used instead of the standard metal blade, the laser provides a much more precise flap. IntraLase LASIK is proven to be the safest LASIK and delivers, overall, the best results. Dr. Dornic is the first LASIK surgeon in the area who is trained and experienced in IntraLase LASIK technology. 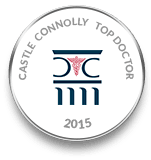 If your surgeon doesn’t perform IntraLase®, you won’t be offered IntraLase®. For the most modern techniques and technology for LASIK eye surgery or to request a free copy of Consumer’s Guide to LASIK, contact Vision Authorities today. Dr. Dornic is proud to have helped many LASIK patients achieve clear vision without glasses. 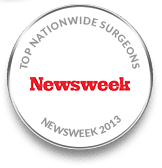 In addition, he specializes in cataract surgery and is regarded as one of the most talented surgeons in Raleigh. Because the cornea is easily numbed with “eye drop” anesthesia, our patients report little, if any discomfort both during and after the procedure. Results vary from patient to patient. Most patients have functional vision in one to three days. Full visual results are usually realized within one to three months. As with any surgical procedure, there are risks associated with LASIK. But in the hands of a highly skilled and experienced surgeon like Dr. Dean Dornic, LASIK can be a safe and successful procedure. Nevertheless, you should talk with Dr. Dornic about any risks associated with the procedure, as well as all the benefits. 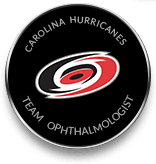 Keep in mind, at Laser Eye Center of Carolina, you are in the hands of a highly experienced and skilled eye surgeon who is dedicated to excellence. Most patients who have had LASIK at Laser Eye Center of Carolina don’t need glasses for their daily activities. However, if you’re over age 40, you still may need to wear reading glasses because of the normal aging process of the eye. This condition, known as presbyopia, occurs as you get older, whether or not you’ve had LASIK. Should I get cheap LASIK? No. LASIK isn’t cheap, but inexperienced eye surgeons happily offer steep discounts, with questionable results. These operations churn through patients like a factory, with little observation or interaction with the patient. You may never see or meet your surgeon until they walk in to operate on you. These offices may also use outdated equipment and techniques that won’t get you the best results. Cheap LASIK may sound like a good idea at first, but it can cost you down the line. Visit with Dr. Dornic to learn more about why getting cut-rate LASIK surgery is a risky proposition. At Vision Authorities, all patients are treated with the utmost respect and attentiveness. This approach helps reduce their anxiety, which in turn leads to better treatment results.